We are continuously working on enriching the breadth of connectivity for Azure Data Factory, and today we are excited to announce the availability of two new connectors: Apache Cassandra and Salesforce. 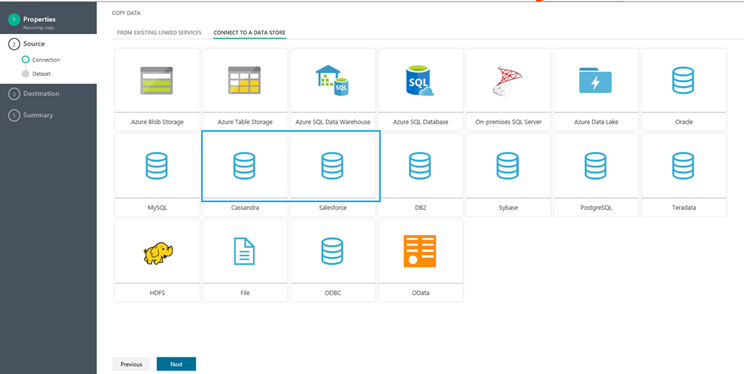 With this release, you can leverage Azure Data Factory to ingest data from these two data stores to a variety of data stores. See list of all data sources and destinations in Azure Data Factory: supported data stores. You can now leverage the intuitive Copy Wizard to set up your data movement from Apache Cassandra and Salesforce in minutes. For details of the two connectors, refer to Cassandra and Salesforce. Data Management Gateway now shows its status in a prominent place on the home page of the configuration manager and it provides intuitive suggestions on actions you can take to bring gateway back online. 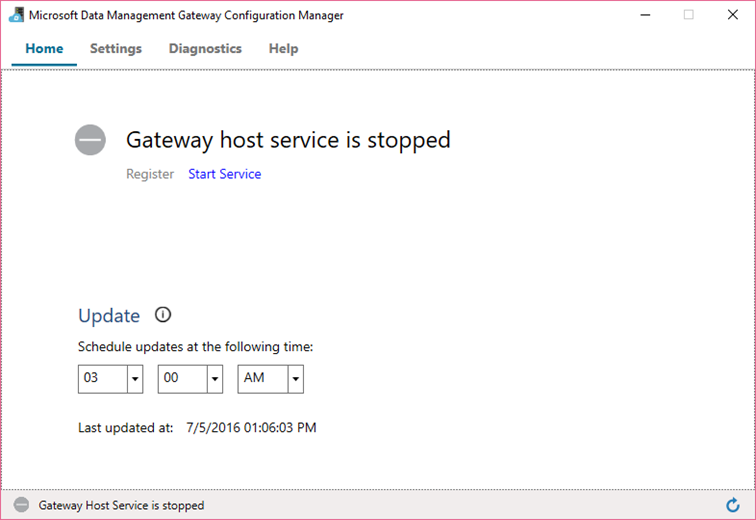 As illustrated in the screenshot below, the gateway host service is stopped and right below the status you can click “Start Service” link to start the host service. 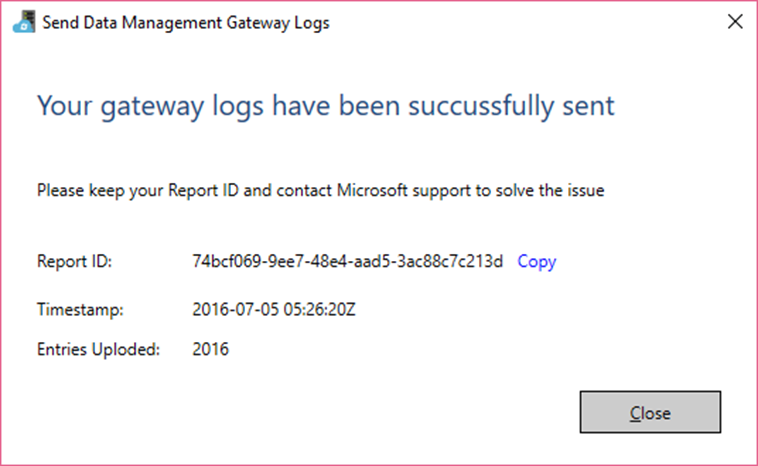 In such cases, you can save gateway logs as a zip file and share it when contacting Microsoft support later. Learn more about how to use the capabilities and related guidance. 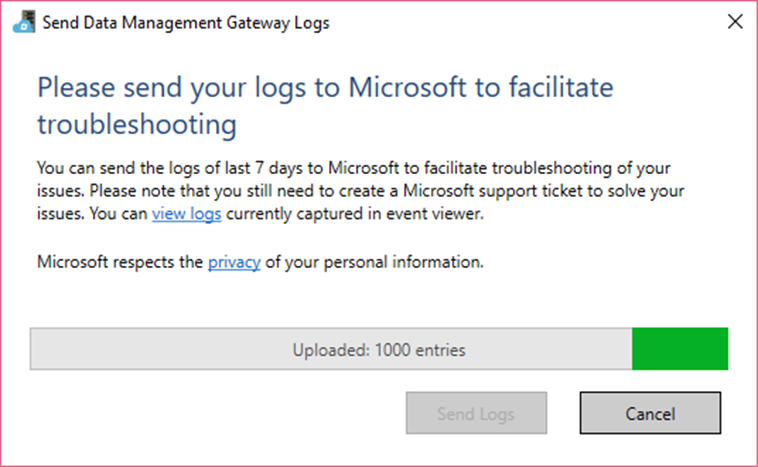 To get these new troubleshooting capabilities, download and install the most recent gateway if you have not already done so. We will continue to add more connectors and enhance Data Management Gateway to better integrate on-premises data sources with Azure Data Factory. If you have any feedback on the above capabilities, please visit Azure Data Factory User Voice or MSDN Forums and share your thoughts with us. We are eager to hear from you!